Do you need to get a thyroid ultrasound? Do you already have your results in hand? Are you confused as to why your Doctor would order this test? Are your results confusing to you? In this post, you will learn the basics of thyroid ultrasound testing including why Doctors order this test, what type of information it gives you about your thyroid gland, how to interpret your results and more. Thyroid ultrasound testing is the most common way to visualize or look at your thyroid gland (1). Your thyroid gland is a relatively small organ that sits at the base of your neck and it produces some very important thyroid hormones. Certain conditions (such as cancer, nodules and autoimmune disease) may cause irregularities in your thyroid gland. The problem with these irregularities is that we can only determine so much simply by feeling or palpating your thyroid gland. The best way to get a better look at what is happening in the gland is with imaging studies such as an ultrasound. Ultrasound testing will give you information as to the general size of your thyroid gland, it will help you determine if you have any masses in your gland and it will help you determine if you have any nodules. Thyroid ultrasound can also pick up inflammation (2) or signs of an early infection which can help guide and direct treatment. An ultrasound may also be used to help guide a biopsy (if necessary) to ensure that you are getting into the right area (3). 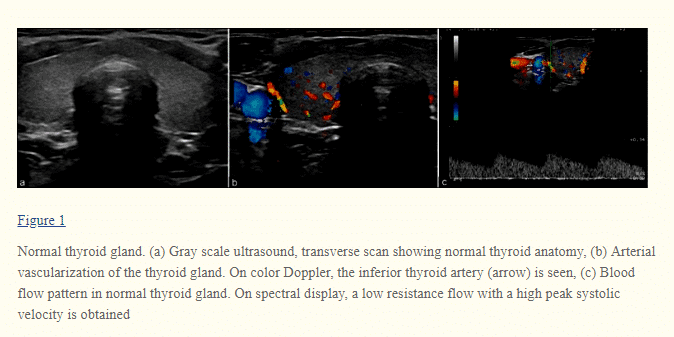 Perhaps the most common reason for a thyroid ultrasound is because of thyroid nodules (4). Thyroid nodules are tiny little masses that can grow on your thyroid gland which can cause significant concern for many patients. The vast majority of the time these nodules are benign and nothing to be worried about. But in order to determine if they are safe and nothing to worry about, you will probably need an ultrasound. Ultrasound is considered one of the safest ways to evaluate tissues and organs in your body especially compared to other testing modalities such as CT scans. Ultrasounds do not contain radiation but instead use sound waves that bounce back off of your tissues at different rates and frequencies. These sound waves vary in intensity and the amount of energy that they produce. 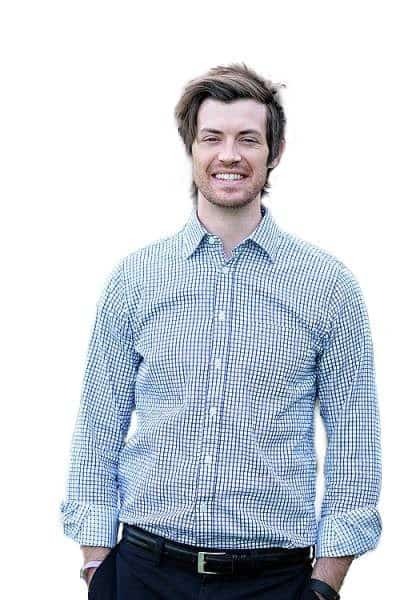 These variations result in images that Doctors can use to diagnose certain conditions. In general, ultrasound testing is felt to be safe enough to be used during pregnancy which means it should be safe for use during thyroid testing (5). Ultrasound testing is generally painless (it doesn't hurt) unless you have a condition known as subacute thyroiditis (which is not very common). During your procedure, you will have a technician put the ultrasound wand over your thyroid gland (around the base of your neck) and apply pressure. This pressure may feel uncomfortable but it shouldn't hurt. As this occurs you will most likely see images in black and white on the ultrasound screen. The images you see will be of your thyroid gland as sound waves bounce back off of your gland. Your ultrasound technician will then take still shots of your gland which will be sent to a radiologist for evaluation and a report. The whole procedure will probably not last more than 15-30 minutes depending on the skill of your technician (this doesn't count any time you may spend waiting, though!). The ultrasound gives you information predominately about the shape, size and texture of your thyroid gland. All of these variables can help you to determine what is happening in your thyroid gland. Maybe you've felt a lump or a bump on your thyroid gland. An ultrasound will help you to determine if this lump is something serious (like cancer) or something benign (like a thyroid nodule). Maybe you've already had an ultrasound and you are following up on a thyroid nodule to see if it's grown over time. If you've been diagnosed with a thyroid nodule before then you will probably need frequent testing and monitoring. Maybe you've been diagnosed with Hashimoto's Thyroiditis and your Doctor wants to evaluate for inflammation in your gland. An ultrasound can check to see if you have inflammation throughout your gland which may affect how you feel. Maybe you are in the postpartum period and your Doctor suspects you may have postpartum thyroiditis. An ultrasound can help determine if you have inflammation in your gland which may cause symptoms such as depression or weight gain in the postpartum period. A thyroid ultrasound will also give you information about the characteristics of thyroid nodules which can give you an idea as to how likely they are to be cancerous. Some findings such as blood flow to the nodule, ill-defined margins, necrosis or microcalcifications, the involvement of lymph nodes and so on are indicators that your nodule may be cancerous (6). The good news is that because getting a thyroid ultrasound is so easy the treatment for thyroid cancer is effective up to 97% of the time. So why would your Doctor tell you that you need a thyroid ultrasound? The vast majority of the time an ultrasound is ordered just to make sure that nothing is being missed and to cover all of the bases. Don't let the fact that your Doctor wants to get an ultrasound freak you out or cause anxiety. Most of the time, your results will be "clean". Below you can find a list of the most common reasons that your Doctor is likely to order an ultrasound. Thyroid Nodules - This is the most common reason for a thyroid ultrasound and it is suspected that up to 20% of the world's population has one. 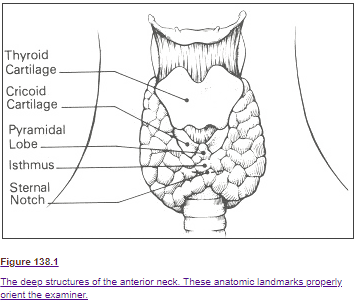 Thyroid nodules are benign and simply need to be monitored. They generally do not cause any issues unless they grow to a very large size. Thyroid Cancer - If your Doctor suspects thyroid cancer then he/she may order a thyroid ultrasound. Some studies have shown that only about 1 in 130 ultrasounds came back positive for cancer so the risk is quite low (7)! Thyroid Cysts (8) - Thyroid cysts can feel like nodules on examination but these are often filled with fluid. Pain in your thyroid gland during palpation or examination (9) - Pain in your thyroid gland is not a normal symptom and should be evaluated. If you have pain in your thyroid gland this may be an early indicator of inflammation or an infection which should be treated. Masses or irregularities felt on your thyroid gland during palpation or examination (10) - Sometimes your thyroid gland may simply feel abnormal during routine examination. If this happens to you then your Doctor simply wants to rule out anything serious. Monitoring an existing thyroid nodule (11) - If you've been diagnosed with a thyroid nodule in the past your Doctor will order thyroid ultrasound testing every 6-12 months to keep an eye on it. This is just to make sure that it isn't growing or changing which are signs it may be more than a simple benign nodule. Follow up testing after thyroid surgery (12) - Sometimes after thyroid surgery, your Doctor may want to look at your thyroid gland to make sure that they "got everything". Believe it or not, it's nearly impossible to remove 100% of your thyroid gland during surgery so it may be necessary to look back after the surgery to check for thyroid gland tissue. The most common way to evaluate your thyroid is to use ultrasound testing. This is largely because the ultrasound is a very superficial organ (meaning it's right underneath the skin) and it's in a place that we can actually see it with ultrasound. Many other organs are found deep within your body which makes them more difficult to assess. But using an ultrasound isn't the only way to look at your thyroid gland. Other tests such as CT scans and MRI's may also be used (13). These are generally not the first test that patients with thyroid issues undergo, however, because an ultrasound is very cheap and reliable. In some cases, random tests such as CT scans of the neck or MRI's of the neck may find irregularities in your thyroid gland which may prompt further testing. If you've already received your ultrasound results the first step is to stay calm and do your best not to freak out when looking at your results. Your results are created by Doctors and they are intended to be understood and evaluated by other Doctors. The images that the ultrasound technician obtained during the procedure will be sent to a radiologist who will then interpret the results and write down his or her thoughts. What this means for you is that your results may look like mumbo-jumbo. It can cause a lot of patients to freak out prematurely because they aren't quite sure what they are looking at. Another difficult aspect of interpreting your results is that there are a lot of "abnormal normals" which need to be assessed by your Doctor. What this means is that your "normal" may not be the typical "normal" but it is still perfectly fine and not an issue. You'll find that your ultrasound report usually does not contain any images but rather words and text which describe what was seen in the images. In creating the report your radiologist may use certain words to help describe what was seen. These descriptive terms are very important because they can give you a clue as to what is happening inside of your thyroid gland (14). It may surprise you to know that no medical test is 100% perfect so all tests must be correlated with your symptoms or how you are feeling. Your Doctor will typically go over the results with you to help you understand what is being seen and evaluated. Depending on what your Doctor sees he or she may request another ultrasound at a later date (to simply reassess the situation) or a fine needle biopsy of something that looks suspicious. The most important thing you can do is to ask all of your questions during this appointment so you don't walk out confused or frustrated. Ultrasounds, and other advanced imaging techniques such as CT scans, are almost always covered by insurance. What this means for you is that you will probably only have to pay whatever your co-pay is for the procedure. The amount that you pay for the co-pay will largely depend on what type of insurance plan that you have. The good news is that an ultrasound is usually far cheaper when compared to other tests such as an MRI or a CT scan, but a little more expensive than tests like a regular plain film x-ray. The total cost will range somewhere between $100 and $1,000 dollars depending on these factors. In some cases, if you don't have insurance, you may be able to get a discounted cash price which may only cost a few hundred dollars. The cash price is often cheaper because hospitals tend to overcharge because they know they typically only get a fraction of what they ask for from the insurance company. But if you can provide cash up front then they are guaranteed some amount. This may be worth looking into depending on your situation! Getting a thyroid ultrasound is a relatively painless procedure which can help give you valuable insight as to what is happening inside of your thyroid gland. This procedure is most often used to determine the shape and size of your gland and to monitor thyroid nodules (which are VERY common). As a patient, do your best not to worry about your results or the procedure itself. The majority of the time your ultrasound will come up "clean" and not show signs of serious conditions such as thyroid cancer. While ultrasound testing is important, it's also equally important to use other types of tests such as thyroid lab tests when looking at your thyroid gland. Ordering these lab tests can tell you more about the FUNCTION of your thyroid gland, whereas thyroid ultrasound really only gives you information about the size, quality and texture of the gland. Have you hard a thyroid ultrasound before? What did your results show you? Are you worried about your procedure?